This new procedure arises from an amendment made to section 29 of the Criminal Justice Act 2003 that allows for criminal proceedings to be instituted by the service of a written charge. Where a written charge is issued the prosecutor must at the same time issue either a requisition or a Single Justice Procedure Notice, which is a document that requires the recipient to serve on a magistrates court a notice saying whether they are guilty or not guilty. When the prosecutor serves SJPN he must also set out the facts of the offence. The Criminal Procedure Rules specify that a prosecutor must also serve with the charge either witness statements or a document setting out the facts or combination of the two. This means that the prosecutor can choose to serve only a summary of the facts rather than providing actual witness statements to the defendant. In my experience, the police usually serve only a summary of the evidence. Once the defendant receives the written charge and SJPN, he has 21 days in which to notify the court whether he intends to plead guilty or not guilty. If the defendant chooses to plead not guilty, the case will be set down for trial before a bench of magistrates in the usual way. If the defendant chooses to plead guilty, he can also choose to be dealt with in open court or he can allow the court to proceed under the single Justice procedure. 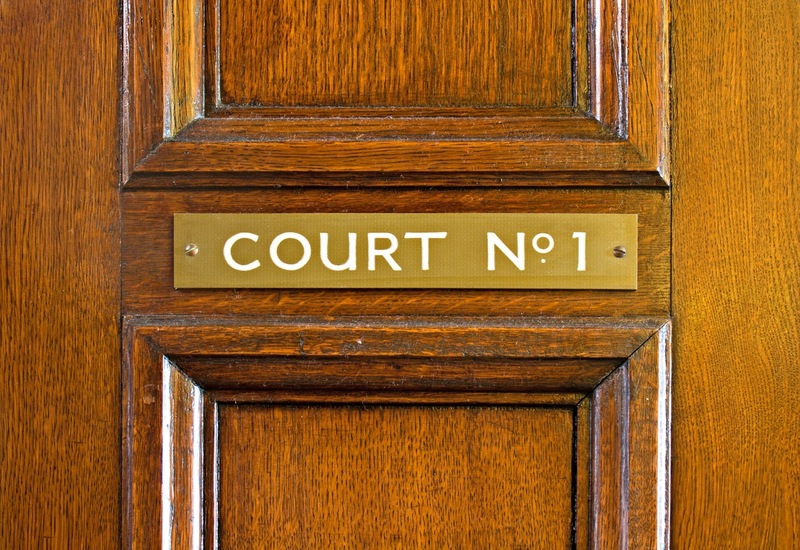 If the defendant fails to respond or responds late, then the court will proceed under the single justice procedure described in section 16A of the Magistrates Court Act 1980. The procedure set out in section 16A allows a magistrate sitting alone in a closed court, i.e. one to which the public are not permitted, to try an allegation based solely on the prosecution evidence served with the written charge as part of the Single Justice Procedure Notice. As we have already seen, the police are not required to serve witness statements as part of the SJPN, which means that trials can, and do, proceed based on a document that simply describes the police version of events rather than on the evidence itself. A quick aside, in the normal course of a criminal trial evidence can only be admitted where it is given orally by a witness in court, or where it is contained in a signed witness statement that has been agreed by all parties or where the evidence is admitted and contained within a formal admissions document. Where the single justice procedure is used all of that goes out of the window and there are, essentially, no rules of evidence. Section 16F of the 1980 Act makes admissible any document that was served as part of the SJPN, including the notice itself. Going back to our trial that is taking place solely on the prosecution evidence by a single justice sitting in private. You may be asking, “why do you say that the trial is on the prosecution evidence alone? What if the defendant attends or sends his own evidence?” These questions are answered in section 16A(5) and (7). Subsection (5) directs that the court may disregard any written submission that is not served on the court within the 21 days. Thus, if a defendant were to return the notice late the court is entitled to disregard the defendant’s evidence and continue to try him based solely on the prosecution evidence! “Never happen,” I hear you cry. “Of course the magistrate would consider the late document”. Well, it happened to one of my client’s last month whose notice saying he wished to plead not guilty arrived late. He was tried and convicted in his absence and we had to go to court to have the conviction set aside. But what if the defendant had attended court to put his side in person? Subsection (7) tells us that the court may try the charge in the absence of the parties and that, “if a party appears, [the court] must proceed as if the party were absent”. So, even if the defendant did attend his own trial he would not be allowed into the court and the court would not take any evidence from him. So, in the single justice procedure you have a system in which people accused of crimes may be tried not only in their absence but on normally inadmissible evidence and in a situation where they are not permitted to give evidence in their own defence. What do you think the chances of an acquittal in such a trial are?